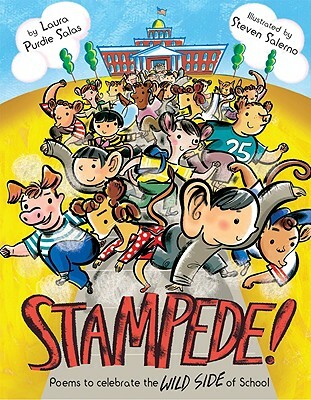 An inventive poetry collection that shows the wild side of first- and second-graders at school. These 18 funny and imaginative poems observe students in their natural habitat and reveal their unusual behavior, crazy communication, and very healthy appetites. Whether they’re in the classroom, on the playground, or in the cafeteria, school brings out the animal in all of them. And if you look carefully as you turn the pages, you may even glimpse some of the wild side in yourself!